The Jensen name has been around forever. 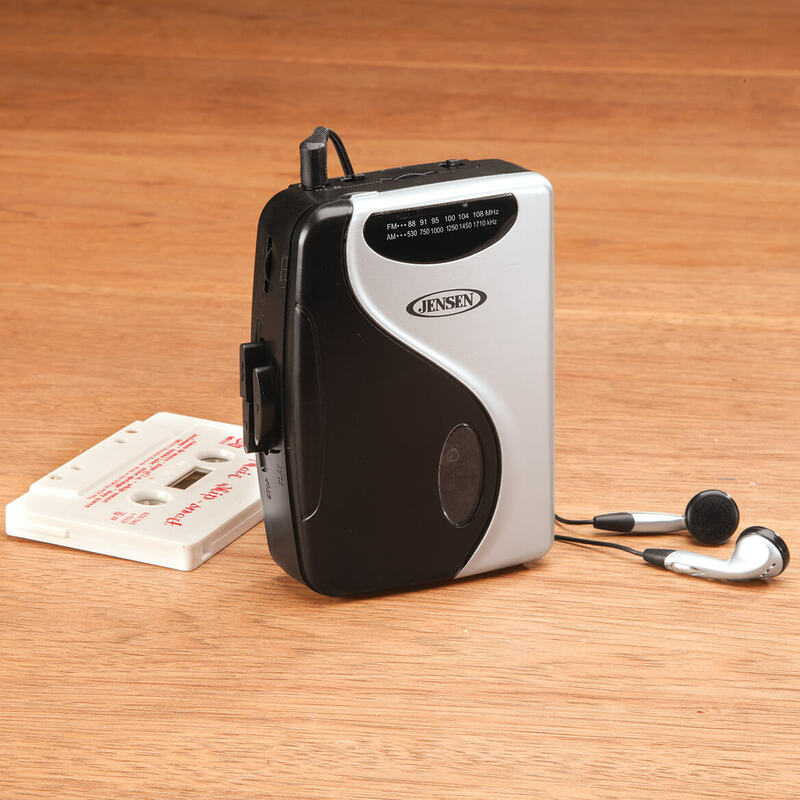 And I need a way to listen to my old cassette collection. Needed something to play some old books on tape for someone recovering from surgery. I still have lots of cassettes and my last player gave up the ghost. 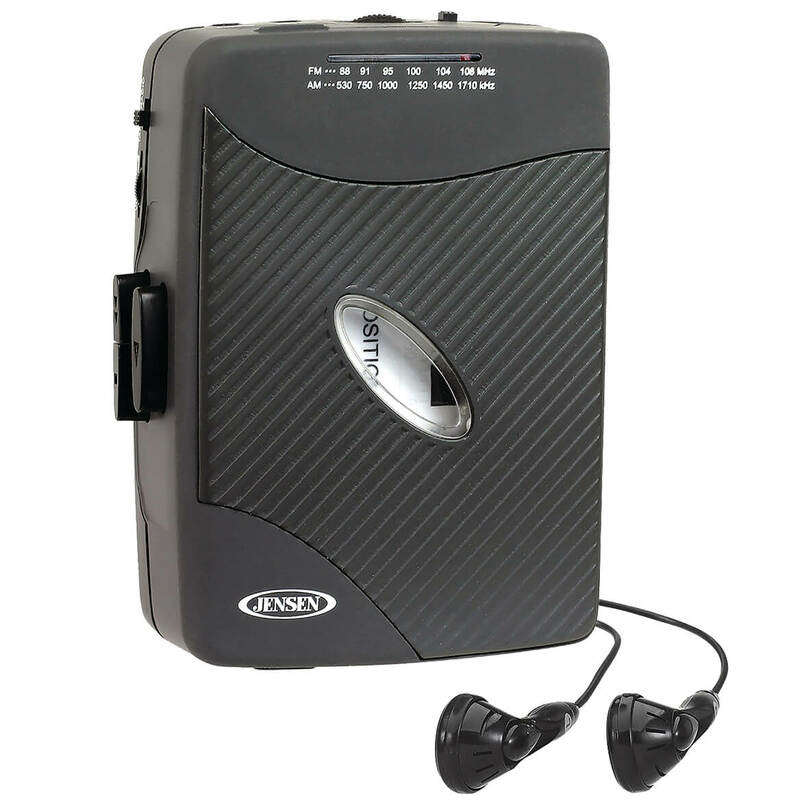 Cassette Players are hard to find nowadays so I was glad to see this one. Can you connect this to the Aux port in a car to listen to it through your car's stereo? BEST ANSWER: Thank you for your question. Yes it will use an auxiliary cord to plug into the stereo. We hope this information will be of help to you. BEST ANSWER: Yes I have found it to be very sturdy because it has been dropped several times and it is still working. I take it to the fitness center to listen to tapes while I walk and it has fallen out of my pocket so many times. I am very pleased with this article. Perfect for my needs. Easy to control, compact and solid. Happy wit it. It is a hard plastic, and lighter than my original one, but seems to be durable. Do you have to listen thru the earbuds? BEST ANSWER: Thank you for your question. Yes it does require earbuds there are no external speakers. We hope this information will be of help to you. Can you load an empty cassette and record voices on this player? BEST ANSWER: Thank you for your question. Unfortunately no this cannot be used to record. We hope this information will be of help to you. Can I plug this into the auxiliary in the car? BEST ANSWER: Thank you for your question. Yes the player includes an audio cable which will allow you to plug it in. We hope this information will be of help to you.